I think this is the first time DarkDwarf and I have independantly taken photographs of the same thing for our blogs. 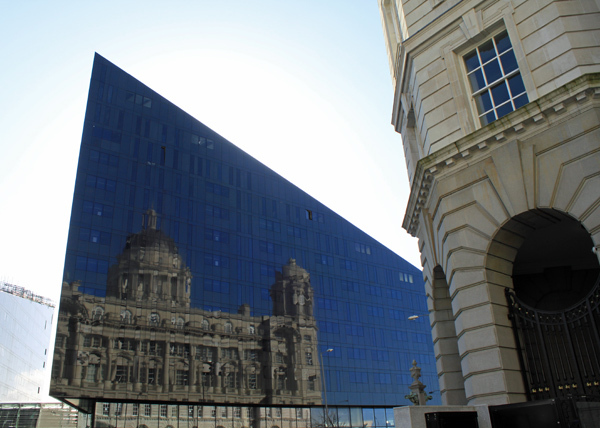 Here is a shot of the Port of Liverpool Building reflected in Mann Island Development I took a couple of weeks ago but fell through the cracks of being busy doing other things. Scarily we had almost the same title.